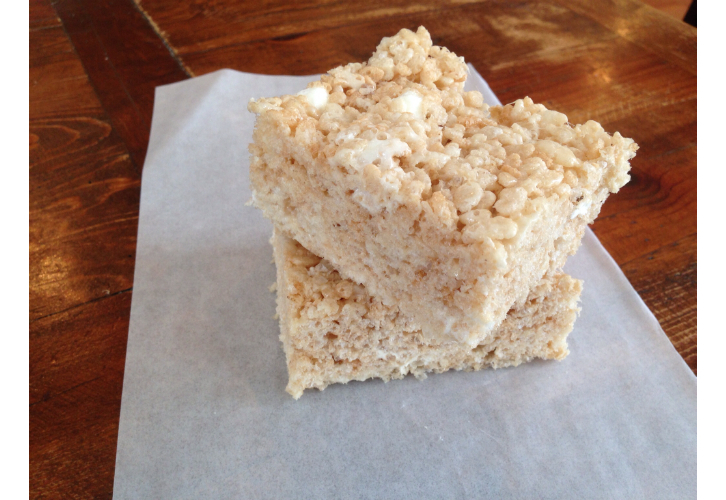 So, I’m bringing an old school fave back this week…rice krispie squares! It’s not really a few “find” this week, but I’m remembering a classic! 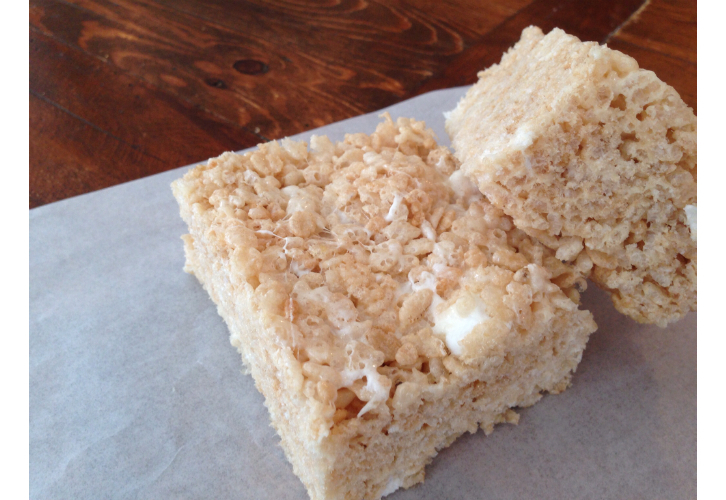 Lately the kids have been ordering the “dream bar” from Starbucks….which is their rice krispie square with extra mini marshmallows. I haven’t made these treast in forever…why??? They are quick and easy to make and they are relatively low in fat. So this week, there’s been a batch ready for lunches and snacks. Measure out rice krispies and 1 1/2 cup of the mini marshmallows into large mixing bowl. In an glass bowl, melt butter in microwave. Add marshmallows and microwave at 20-30 second intervals, stirring each time (this could be done in a pot on the stove as well). Watch closely! Once melted and the butter is incorporated, add vanilla. 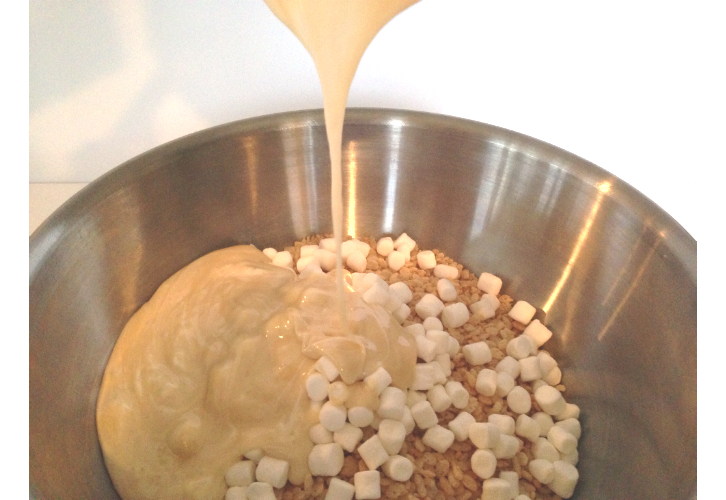 Immediately pour marshmallow mixture into rice krispies and mini marshmallows and stir. 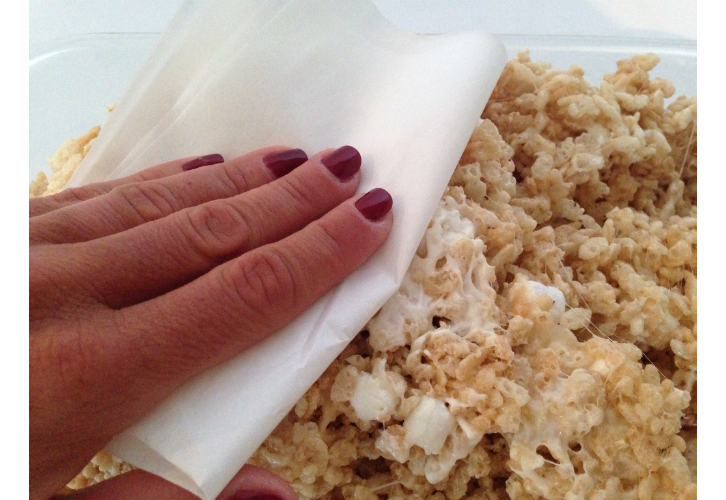 Press into greased 9″ x 13″ pan with parchment paper (this will save you from extremely sticky hands). Cut into squares once cooled and enjoy! Some additions to bump up the classic….toffee or Skor bar bits, mini chocolate chips, mini M&M’s, toasted coconut chips, and sprinkles. Although I will admit that my kids do prefer them au naturel. 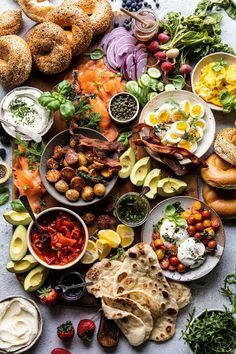 Sometimes I get so caught up in new flavors and recipes that I forget about the good old standbys…and this classic is a good one! « What’s in Your Carry-On?